Published 26 September 2017 at 1000 × 647 in Can You See The Great Wall of China From Space? 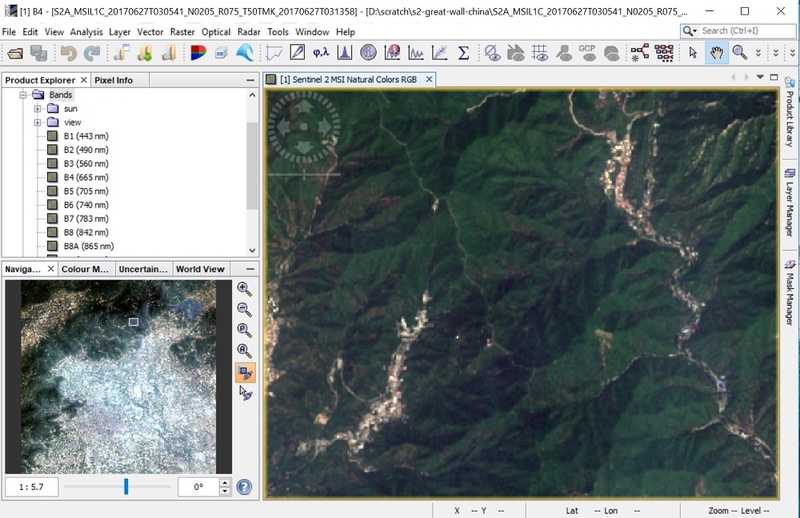 Screenshot of SNAP showing area north of Beijing, China. Data acquired by Sentinel-2 on 27th June 2017. Data courtesy of ESA/Copernicus.